The objective of this course is both to offer an introduction to the subject of intercultural communication as well as working on this subject in practice by doing two projects, a smaller one and a larger one, in order to apply the theory learned during the sessions in practice. The idea on which the course is built is that dealing with intercultural issues and applying theory in practice is key to developing one’s competencies in this field. That a certain minimum level of intercultural communication competences is a must in internationally operating businesses, universities or other organizations is obvious: One of the well-known authors in this field, prof. Geert Hofstede of the University of Maastricht put it like this: “Cultural differences are at best a nuisance and in the worst case a disaster!”, as well as “The business of international business is culture”. This course will, therefore, help you to improve your personal effectiveness. Understanding the potential of good intercultural competencies for international business. Knowledge of theory and practice of intercultural communication. 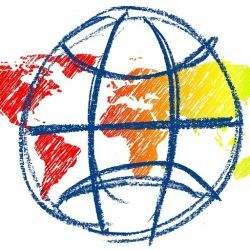 Ability to assess existing organization’s strategies, and understand challenges and barriers, but also opportunities, in order to help these businesses with establishing a viable international / intercultural strategy. Developing an international mindset and cross-cultural understanding. 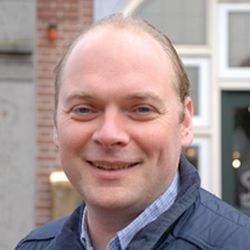 Jacques Bazen is a lecturer in Entrepreneurship and International Economics at Saxion University of Applied Sciences in The Netherlands and the business school of Lomonosov Moscow State University in Russia. 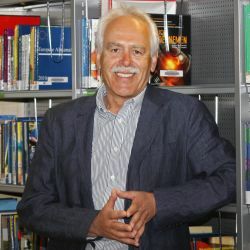 As a lecturer with a special assignment to develop the internationalization process at his faculty at Saxion, he travelled a lot and gave guest lectures in at least 25 universities worldwide during the last 10 years. Besides lecturing, he is involved in several cooperation programs between The Netherlands and Central/Eastern Europe both on university and business projects. He worked on many projects on democratization, political communication and regional economic development in this part of Europe as well and has collected throughout his international career a lot of knowledge on intercultural competences (and made a lot of mistakes as well: he will share these with you so that you can avoid them)! The course consists of a solid introduction to different theories and concepts related to intercultural communication and diversity. Based on this theoretical framework, you are going to practice the issues learned in the two projects and develop a plan to improve current promotion material for an international target group, as a junior consultant in intercultural communication. The plan will be presented to relevant stakeholders. Part of the course will be a Practical project for the participants related to the marketing strategies of the city of Prague to attract international tourists. That will give the participants some good options about learning to do fieldwork in terms of finding out how messages are brought across for different target groups from different countries and interviewing some people on the street on this subject. And in the end, present some recommendations for the city marketing bureau/tourism department on how to make the message of “visit Prague” more effective for different countries/cultures. Course Project: Introduction project week 1: “Multi-culinary Prague”. A short study into the diversity of Prague restaurants. Where in the city centre are restaurants located? Is there a pattern visible of restaurants with a different cuisine from a different part of the world in different places? Which parts of the world are missing/overrepresented? Introduction of project week 2: “International Tourism in Prague”. This project is about analysing and giving some suggestions for the improvement of tourist information about Prague for international tourists. You will choose a specific area of tourist communication and analyse it with the help of the intercultural theory framework that was discussed during the meetings, as well as a limited field study, and give some suggestions for further improvement.